This is one of the more interesting vehicles I have ever seen. I would so want one of these. 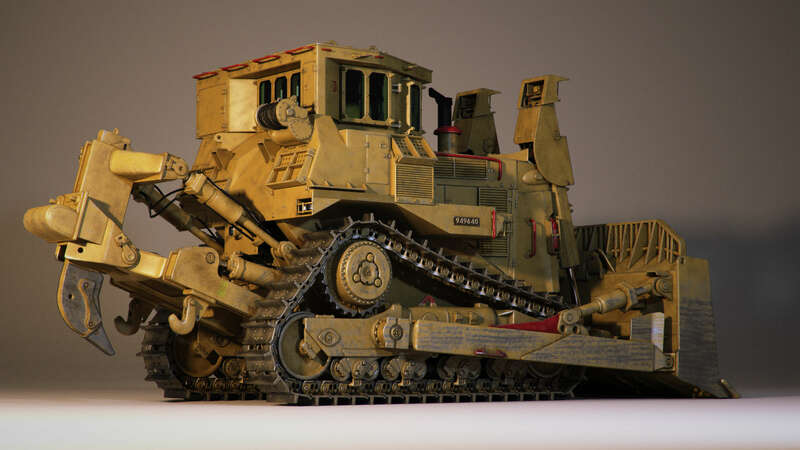 The first time I saw it I thought it was a fictional vehicle, because … come on, it’s an armored bulldozer! Later I found out it’s actually a real thing, that exists on this very planet. I had loads of fun modeling this guy. It took a long time but it turned out quite alright. Texturing turned out to be a challenge but very rewarding when I got something that I liked. The size reference is not off scale. This thing is really this big. 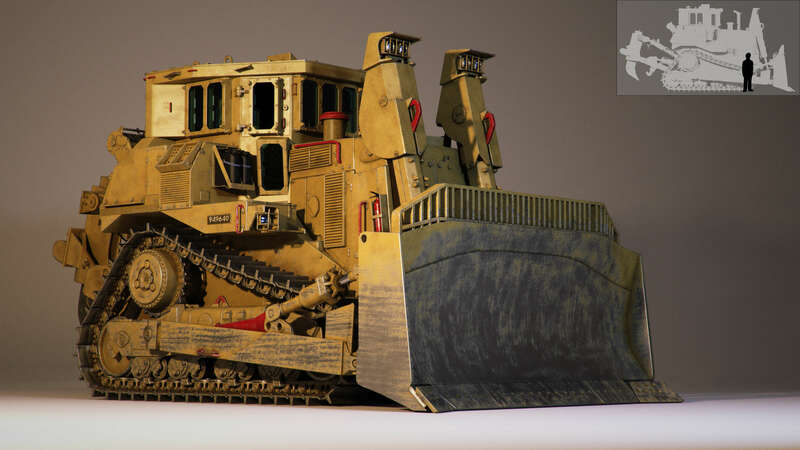 This model is available for purchase at BlenderMarket. If you do not use Blender you do not need to worry. 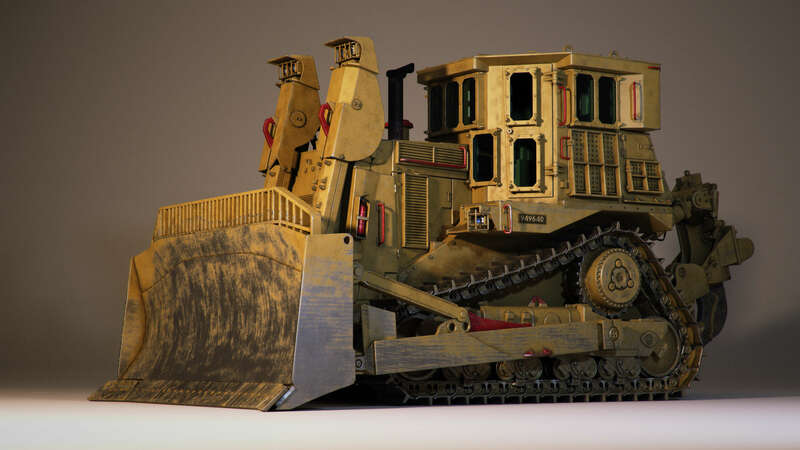 Blender is free so you can just download it and export the bulldozer to any format that your 3D software can open. Human size reference by user TeknicolorTiger on DeviantArt.